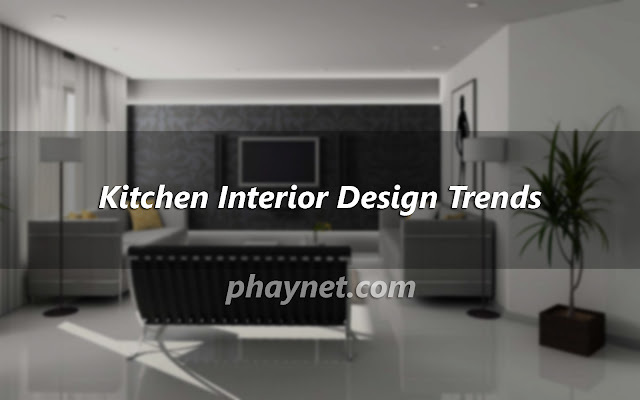 Kitchen Interior Design Trends - If you wish to get the interior renovation done for your home then you need to be aware of the latest design trends. The home interior design services in London make you aware of the best trends and are even helpful in accommodating your wishes into the design. Forget the boring kitchens that look too simple. Kitchens are normally light in colours to make space look bigger. However, adding a special wall can make them look more appealing. Choose which wall you want to highlight and give it the desired look using wallpapers or tiles. If you get bored of the looks quite often the wallpapers can do wonders for you. Give a texture to a specific wall. Get it done with the help of special paints and taking the services from home interior design service providers. They will give your kitchen a completely different look. Depending upon the furniture in your kitchen, you can give a wooden texture or an antique finish or modern finish to a wall. Make sure that you choose a texture that will enhance the look of your kitchen and not make it dull. Metals are always good for your kitchen. They can be cleaned easily and instantly give your kitchen a more beautiful look. Home interior design services suggest that copper is trending these days. Try to have more of copper related items or metallic items in your kitchen. They are sure to make your cooking space more royal and classic. You can have them in the form of handles, shelves, lamp holders or even wall clocks to give your kitchen a metallic touch. There are times when you might not feel like cleaning your kitchen and want to dump everything inside the cupboard. However, open shelves are always a better option if you want to make your kitchen look beautiful. Not the entire kitchen should be left open but most of the shelves can be left open. This will make your kitchen look more spacious and you will always have an urge to keep it clean. If you are taking the help of home interior design services in London then they will always insist you for open kitchen. This way, your kitchen will look more spacious. You can merge the kitchen furniture with the furniture of the area just outside it. This makes your home look modern and the time you spend in the kitchen does not seem too boring any longer. It is always a great idea to have the right blend of modern and traditional look at your home. The same applies to your kitchen too. If the kitchen has traditional furniture then the walls and the appliances can be given a modern theme. If you have a modern themed kitchen then making a wall themed as a brick wall will make your kitchen look good.